When I told a friend about my recent trial with wallaby meat, she was totally surprised. Yes, we don’t normally hear wallaby meat in the market or anywhere. Instead, we often consume kangaroo which I classified as genuine Aussie produce. However, wallabies can actually be used for culinary purposes. 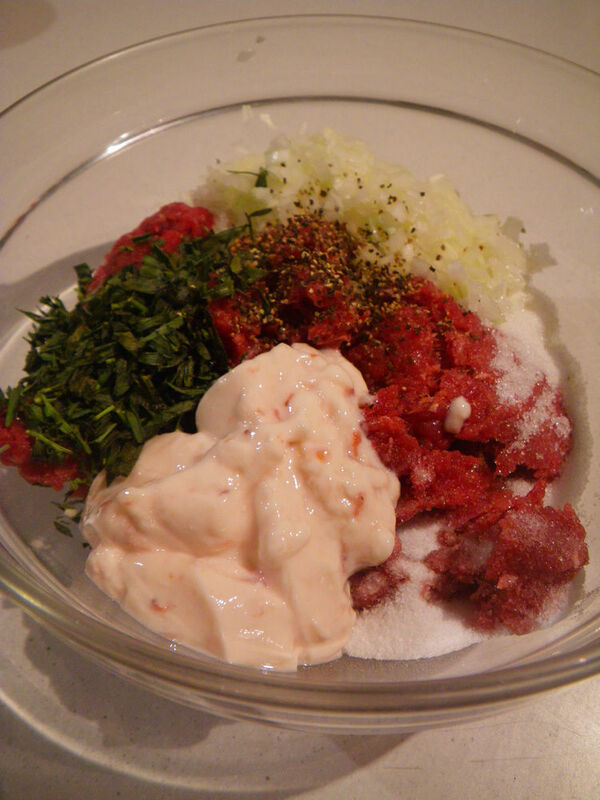 I was recently invited to create a dish using wallaby meat from Lenah from Tasmania. 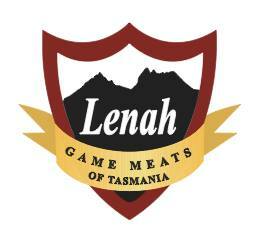 Lenah has been in business for nearly 20 years and focus on game meat as the center of their business. 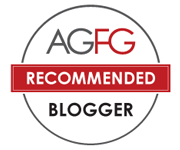 They promote themselves as the “producer of the finest game meat” and the business has own many awards. The wallaby meat was sourced in Tasmania and was claimed to be healthier than kangaroo as the fat content of the meat, which is only 0.05%, is significant lower. Unlike other livestocks, the wallabies emit no methane gas due to an enzyme present in their digestive system. All flesh parts of the animal were used for meat production and hence there is zero wastage. I picked up Lenah wallaby meat from the Drake Supermarket in Hallet Cove and surprisingly, after opening the package, a nice meat aroma came to the nose. I had a close smell and the meat was very fresh with pinkish red color with no game meat smells at all. 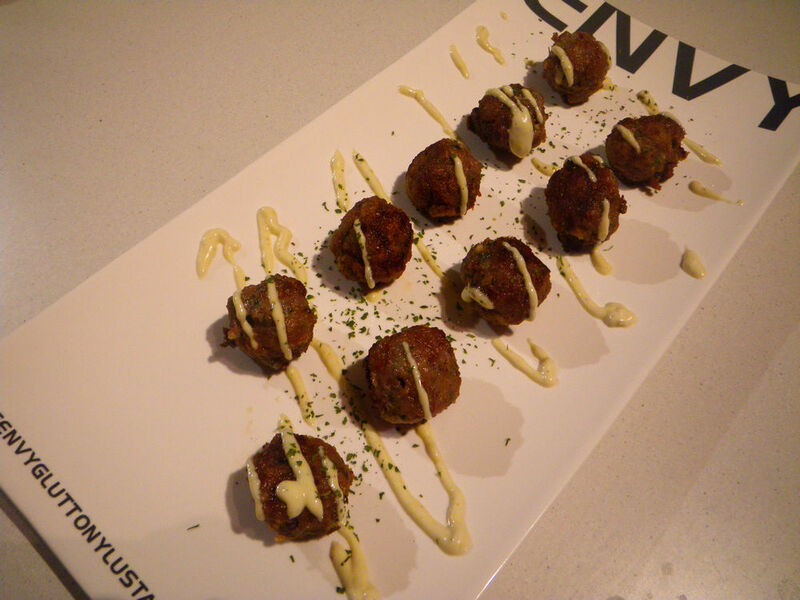 I decided to have a play around with the meat and finally made the following simple, easy yet very tasty meatball dish. It takes less than 10 mins to prepare too! 1. Add the above ingredients in a bowl and mix them together until you get a smooth mixture. 2. 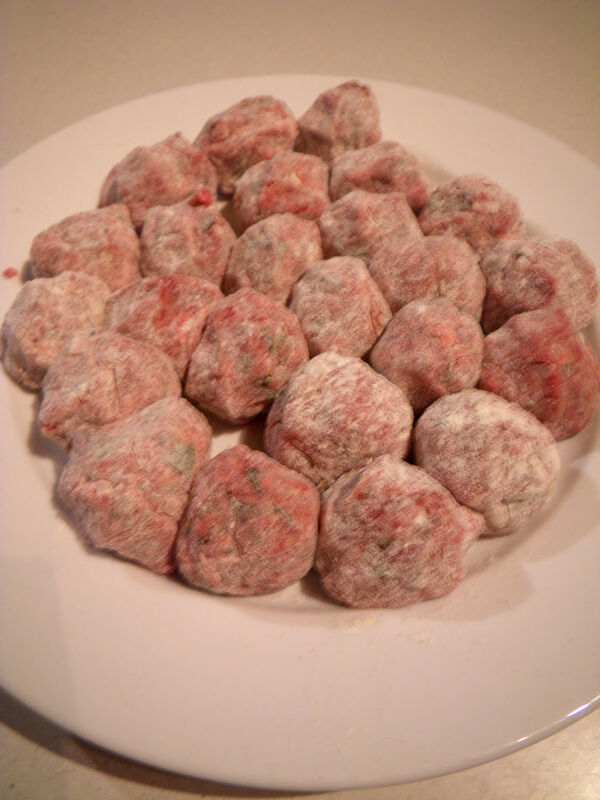 Lightly dust your hand with flour and make the meatballs. 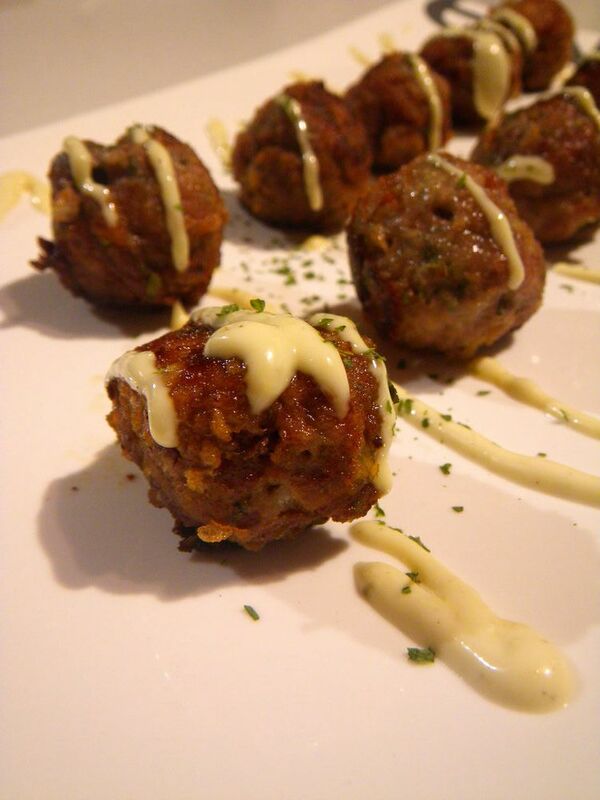 Be sure to dust them with flour as well as it will give a beautiful golden crust on the outside of the meatballs. 3. Put pan on heat, drizzle some olive oil and get the action going. It’s best to focus on one side of the meatballs first and when it goes golden brown, turn all meatballs at once. 4. Once the meat has been cooked, plate up and enjoy! 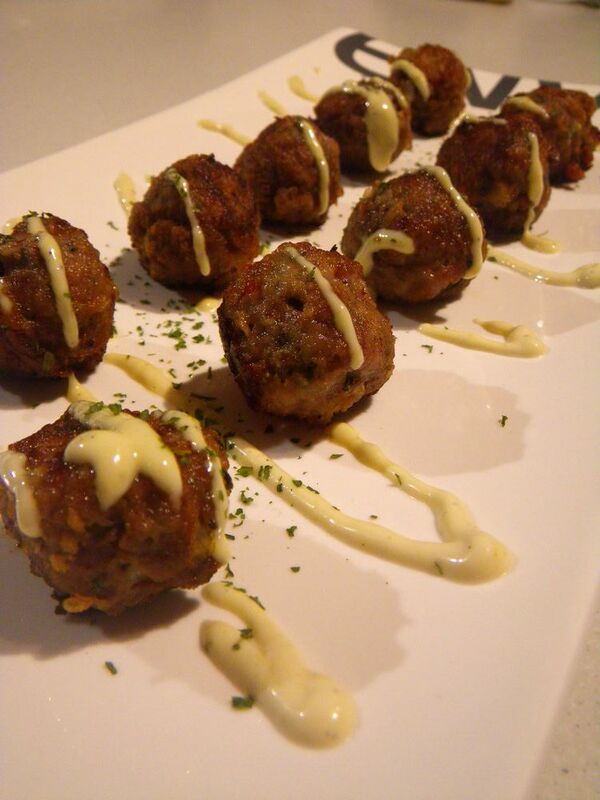 I topped the balls with aioli, but you can change according to your liking. ….I want to eat a wallaby now. Most of me just wants it to be in my belly, but part of me is terrified that if I eat the wallaby, it might be so good that I would slip into a deep state of depression because I can’t get that here. haha good point. 😀 Hope I can deliver you one or maybe when technology is 1250000times better than now, you or me can come through the screen. lol. Anyway, glab you liked the post. Night time for me now. The balls look very cute. I have to admit that I have a fantasy with Kangaroo meat and would really keen to try the wallaby too. I hate eating Kangaroo meat. Very tough and smells bad.